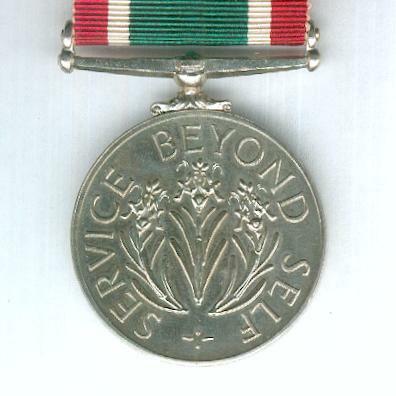 Circular cupro-nickel medal with swivel ribbon bar suspension; the face with the initials ‘WVS’ within a wreath of ivy; the reverse with three flower stems, circumscribed ‘SERVICE BEYOND SELF’; on original ribbon mounted for wear; in original fitted embossed Royal Mint case of issue, some light foxing to the lining of the lid. 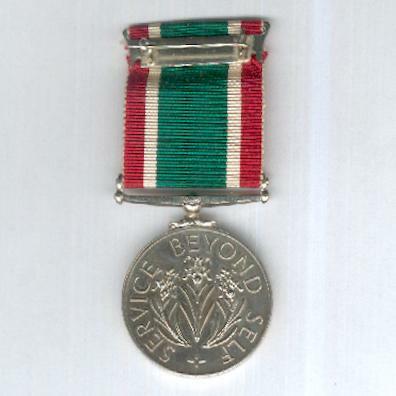 The Medal was instituted in 1961 and is awarded for 15 years’ exemplary service. 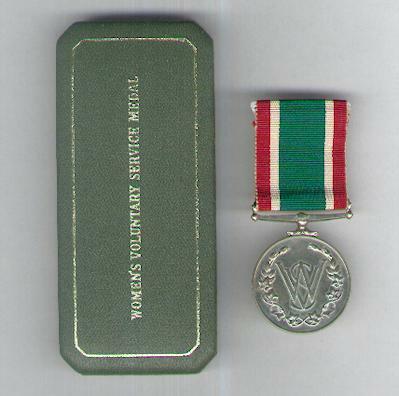 The Women’s Voluntary Service was founded in 1938 with a view to impending hostilities and, in particular, dealing with the impact of large-scale air raids on civilian targets. 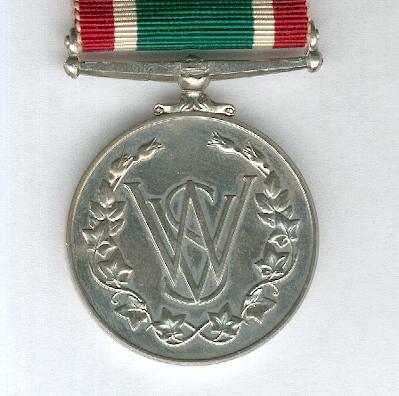 Its members were active in every aspect of civilian wartime welfare and more than 240 WVS volunteers lost their lives during the war. 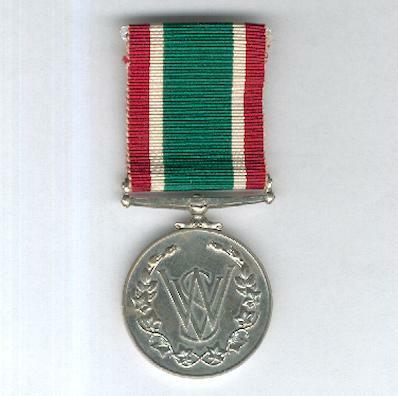 Since that time, the WVS has routinely supported many people, especially the elderly and the vulnerable, but has also been on hand in times of disaster to support both victims and rescue services with immediate practical help. 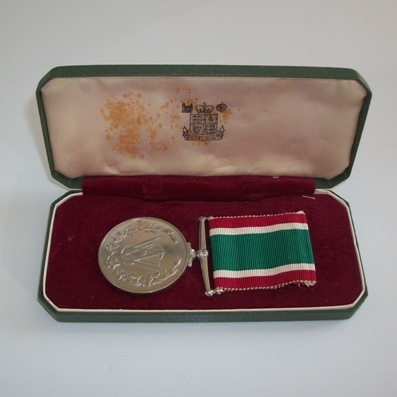 In 1966 Queen Elisabeth II granted the organisation the prefix ‘Royal’ in recognition of its valued work. A good example.